Students will learn the fundamentals of flying and build the foundation to become successful airmen. Students will learn the fundamentals of flying and build the foundation to become successful airmen. After obtaining the Private Pilot License, students will be able to fly for pleasure and take friends and family members. 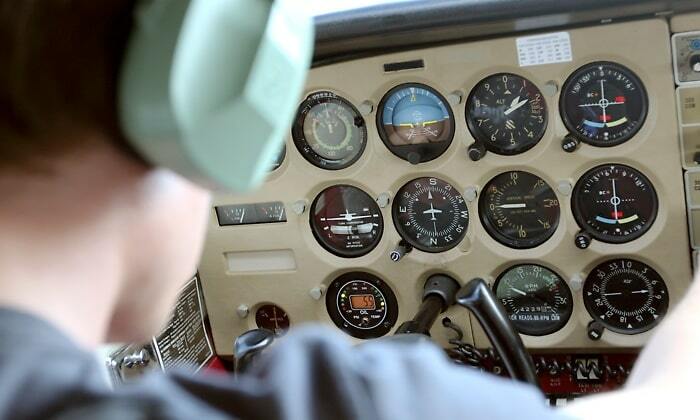 Under Part 61*, the student is required to complete a minimum of 40 hours of flight instruction, which includes 20 hours with the instructor and 10 hour of solo flight time. Under Part 141*, the student is required to have a minimum of 35 hours of flight instruction, which includes 20 hours with the instructor and 5 hours of solo flight time and a minimum of 35 hours of ground instruction. The Private Pilot Course costs approximately $8,620. This cost includes flight time, flight instruction, ground instruction, medical exam, books and supplies, written exam fees, and checkride fees. *Part 61 is recommended for students who wish to fly for pleasure. *Part 141 is recommended for students who want a career in flying. *Students should budget an extra 20% to their budget.